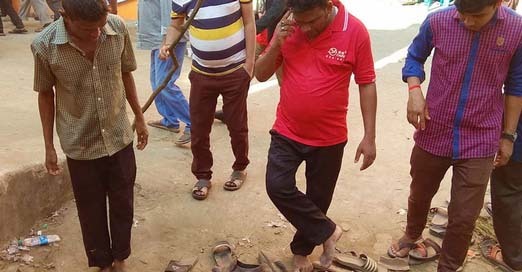 Chittagong, Dec 18 (Just News): At least 10 people have been killed and more than 50 wounded in a stampede in Chittagong city during the qulkhwani of former mayor ABM Mohiuddin Chowdhury. 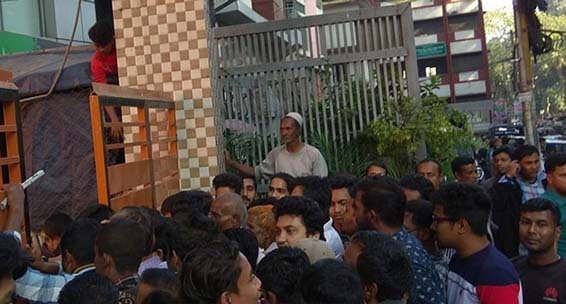 The incident took place on Monday when food was being handed out by Mohiuddin’s family at Rima Community Centre in the city, according to police. On the occasion of the qulkhwani, Mohiuddin’s family arranged mezban for 80,000 people at 12 places of the port city, said Mohammad Osman Ghani, personal secretary of Mohiuddin Chowdhury. Mohiuddin Chowdhury passed away early Friday at Max Hospital in the port city at the age of 73.